Fill out our simple form and get quotes from local children's entertainers. 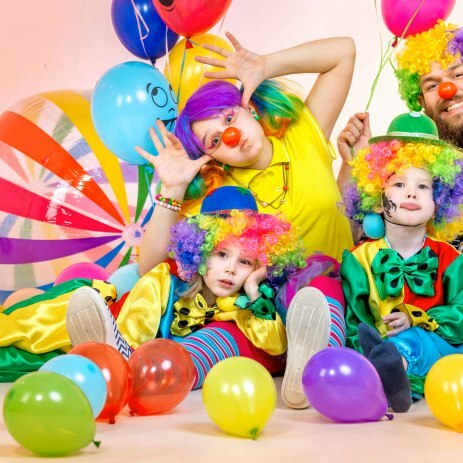 Children’s party entertainers can help keep the kids amused at large events, or they can be the star of the show, helping little ones celebrate a special birthday. We know kids have a new favourite every week, but our children’s entertainers are sure to become a firm favourite they won’t forget. My name is Mr Custard (A.K.A. Bob Riley) I have been an entertainer for 25 years. I now concentrate on children's disco parties and silly magic shows. I am insured through Equity and CRB Checked. Face Painting, Glitter Festival Faces, Temp Tattoos, Baby Bump Painting, Hair Braids & Feathers. Creating a smile for all ages at all events. Indicate whether this is a fixed fee, % or donation of services for a raffle. Please specify an amount or range of pitch fees. If you're not sure, please leave blank. Traditional party clowns will act the fool and cause a bit of mischief while magicians will amaze and maybe even share a few of their secrets. Puppet shows will keep little ones quiet for a while, and face painting, balloon modelling or arts and crafts will get everyone involved. Our children’s entertainers are trained professionals who really know what makes kids tick. Perhaps an educational entertainer could provide a couple of hours of fun learning, or maybe a pony party would be perfect for young animal lovers? Whether it’s a distraction or a treat, children’s entertainment is essential for any family event. Find children’s entertainers that can provide quotes for your event by submitting a free quote request form today.